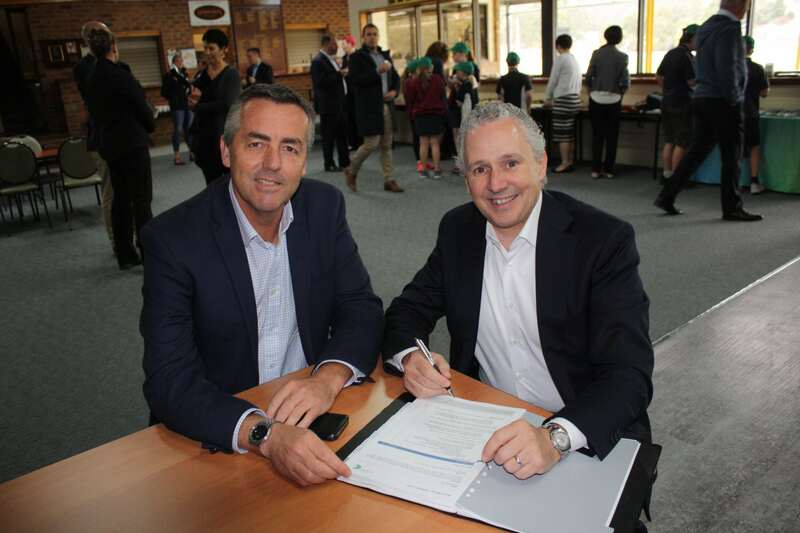 Federal Member for Gippsland Darren Chester pictured with Telstra CEO Andy Penn at the opening of one of 13 new or upgraded towers being built with Federal Government funding to improve mobile phone coverage across Gippsland. The Federal Government has announced a review of regional telecommunications to examine existing gaps in mobile phone coverage and how regional communities can maximise the economic benefits of digital technologies. The Nationals Member for Gippsland Darren Chester has encouraged locals to make a submission so the review can provide an accurate overview of Gippsland blackspots and make sure Gippsland is best placed to capitalise on the outcomes. Submissions close August 5, 2018, at 5pm and can be lodged via the Department of Communications and the Arts website or by post or email. “A committee appointed to review telecommunication services in regional Australia will consider how regional communities can maximise the economic benefits of digital technologies,” Mr Chester said. “It will also review how regional consumers use their broadband services and how they might derive more benefits from improved coverage. “The committee has also been charged with analysing the extent of existing gaps in mobile coverage in regional Australia. “This is a unique opportunity for locals to make sure Gippsland’s telecommunications needs are adequately assessed and future needs can be considered. • by post to 2018 Regional Telecommunications Review Secretariat, Department of Communications and the Arts, GPO Box 2154 Canberra ACT 2601.